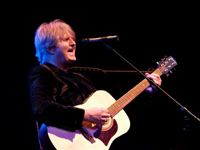 “Life Is a Highway” is a song written by Tom Cochrane and is from his 1991 album, Mad Mad World. The song was Cochrane’s most famous song, as it was a number one hit in his native Canada, and was ubiquitous on Canadian radio in 1991. The song also peaked at number six on the Billboard charts in the United States in 1992. In the 1990s Cochrane took his family to West Africa where he helped to raise awareness and money for the World Vision famine relief organization. That experience shaped his next album Mad Mad World which contained “Life Is a Highway”. The song was Cochrane’s only Top 40 hit in the United States, although he continued to have significant hits in Canada. Prominent Cincinnati disc jockey Brian Douglas was the first American DJ to play this song on air. In 1998, Chris LeDoux released a cover of “Life Is a Highway” on the album One Road Man. Changes include the timing of vocal entrances on the chorus, and location names between the first and second chorus. This version also appears on LeDoux’s 20 Greatest Hits, released June, 1999. The song was featured in the movie Cheaper by the Dozen (2003). The song was featured in the movie Cars (2006). The song was brought back into prominence when it was the first song performed at Live 8 Barrie July 2, 2005. In the same year, it was named the 13th greatest Canadian song of all time in the CBC Radio One series 50 Tracks: The Canadian Version. The song was featured in a 2007 Volvo commercial. It was also covered by Blake Shelton and his choir on a live edition of NBC’s Clash of the Choirs. The original video for “Life Is a Highway” was produced by Canadian-South African, Albert Botha who went on to line produce two films for Saturday Night Live, Superstar starring Molly Shannon and The Ladies Man starring Tim Meadows. In 2006, American country music band Rascal Flatts covered this song for the Disney/Pixar animated film Cars. The movie was released on June 9, 2006. The song sold a large quantity of digital downloads, leading to a top ten peak on the Hot 100. In addition, the cover was placed as a bonus track on later versions of the album Me and My Gang. This version also won the “Favorite Song from a Movie” award at the 33rd People’s Choice Awards. The music video is simple. The three members of the band play on top of three trucks respectively. Behind them are projectors with images of the the movie (Cars). Repeatedly in the video, scenes of the movie appear. The Rascal Flatts version subsequently became a hit on the US Hot 100 charts, where it peaked at #7. Even though it was not officially released to country radio, many country stations played the song as an album cut; it reached #18 on the singles charts as a result.